Decarbonizing your car’s engine is important. 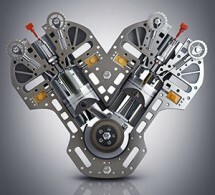 The most likely place to find carbon building up is on the intake valves. By removing the carbon you increase engine efficiency and reduce harmful tailpipe emissions. We recommend decarbonizing your BMW once a year . 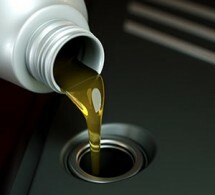 It is especially important to clean carbon from your BMW so that you don’t lose the elite driving sensation or fuel efficiency that BMW’s are renowned for. The purpose is to remove carbon & oil deposits from throttle body, inlet manifold and plenum chamber. Thoroughly clean EGR system, oxygen sensors and catalytic converter. Correct fuel/air combustion efficiency and emissions. Reset for accurate operation of electronic engine management sensors. Sometimes we like to be assured that our car is working at its best, or we are planning a long car journey and want to ensure that there will be no hitches along the way. 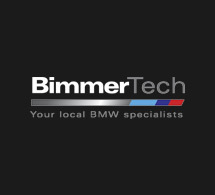 This is why Bimmertech offers the QuickCheck – a streamlined, fast version of our full car service. It is a quick car service that looks over your BMW and attends to all the small things that needs attention between regular servicing; preparing your car for a long, safe drive. Going on a holiday? Book in your QuickCheck today. From a routine or fast check type service to a more multifaceted, diagnostic, scheduled service that offers a comprehensive check of everything concerning your BMW, our service and repairs are of the highest quality standards. Minor & Major Mechanical Repairs: To make minor and major mechanical repairs to both petrol and diesel engines; and to perform routine maintenance and servicing on other mechanical parts of the vehicle. Engine, Gearbox & Diff Overhauls & Upgrades: A service that focuses on the engine area, we aim to yield optimal performance, to increase your engine’s power output and to increase your engines longevity and durability. Brake and Clutch Servicing, Repairs & Upgrades: Bimmertech will provide you with a comprehensive report of your brakes and clutch; including any necessary repairs. We will check and replace brake pads and disc, and can also upgrade your brakes by using high performance brake applications. Suspension Repairs & Upgrades: In this service we will focus on the suspension and shock absorbers of your BMW. Your suspension is vital to driving a safe car, because it is what keeps tyres in contact with the road. We will provide full suspension maintenance and repairs, and can fit shocks,replace springs, bushes and more. 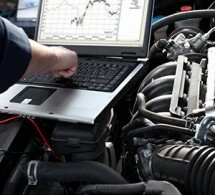 Registration Inspections: If your BMW needs an inspection for registration, Bimmertech is fully authorized to do this. We know that purchasing a BMW, whether brand new or used, can be a large financial decision. Therefore, in order to save you money and stress in the long run, we always suggest your potential vehicle is looked at by us before you make any large financial commitments. 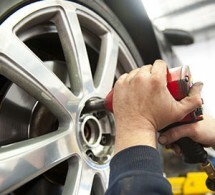 The inspection can help avoid unexpected costs, minor (and sometimes major) car problems and a disappointed owner. By thoroughly checking all components, from the electrical to the mechanical, as well as visually inspecting for any probable accident damage, we ensure your new car is ready to run as soon as you get it.